I recently finished my second Roller Bead Necklace. 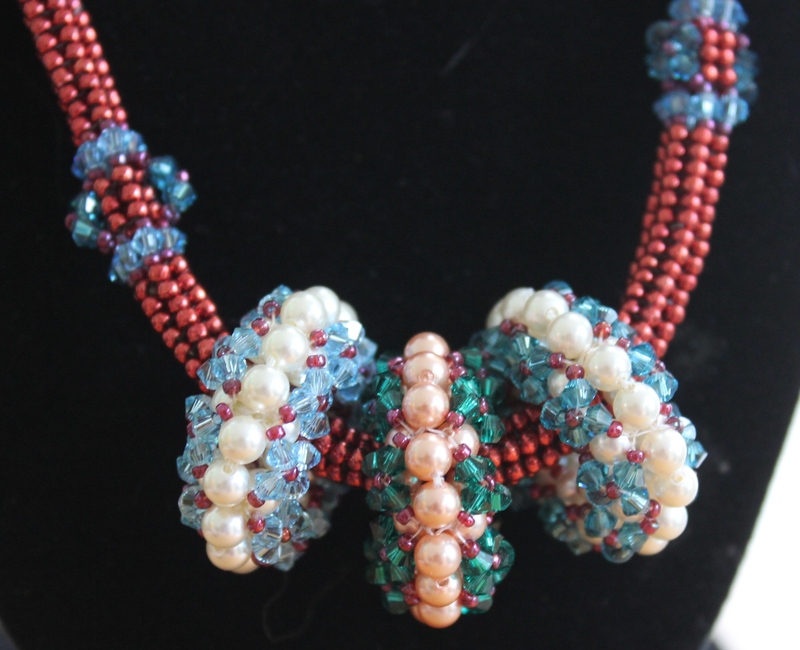 I recently finished my second Roller Bead Necklace, designed by Cathy Lampole and featured in Bead and Button magazine’s October 2012 issue. As always, I struggled with the colors although I used a color wheel to help me. Often the beads the magazines feature are hard to find or require readers to buy the suggested color combinations from many different vendors. So to save a buck I muddle through, ordering what I hope will look pretty, usually buying online from Fire Mountain Gems in Oregon. Sometimes I get lucky and sometimes not. 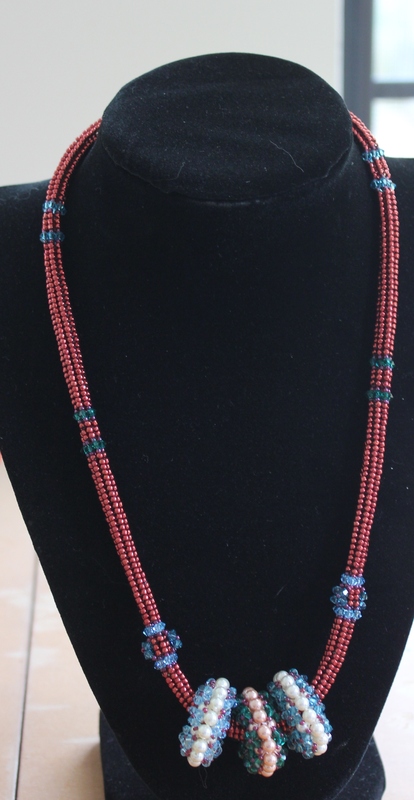 The metallic red seed beads used in this necklace weren’t my ideal pick but after a while I decided they would do. It’s really an easy pattern and the beaded beads work up in an hour. This entry was posted in Bead and Button magazine, beaded necklaces, Beading, Retirement Life and tagged Bead and Button Magazine, beading, Beadwork, Cathy Lampole, Fire Mountain Gems, retired life. Bookmark the permalink. I use Fire Mountain Gems for supplies as well, along with a few other online sources. Have you tried Rio Grande? They are excellent quality if a bit pricier than some. The necklace looks very nice ~ I like your color choices. No, I’ve never purchased anything from them. I’ll check out their website. Thanks.